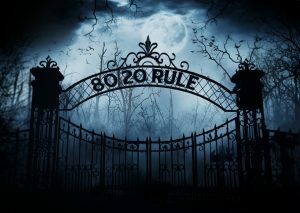 The 80/20 rule passed away peacefully on November 8, 2018, when the U.S. Department of Labor issued this Opinion Letter. Since it began on March 2, 2009, the confusing “80/20” rule has been causing headaches and lawsuits for restaurant employees. This rule prevented employers from taking tip credit from employees who spent more than 20 percent of their working time on non-tipped work. To fully implement this rule, employers would have had to continuously monitor tipped employees and document and differentiate their duties, which many employers found difficult to keep track of. There will be no funeral services, and the rule will be missed by no employers in the restaurant industry anywhere. In lieu of flowers, you can pump your fist and smile while listening to a remastered version of Genesis’s Land of Confusion.